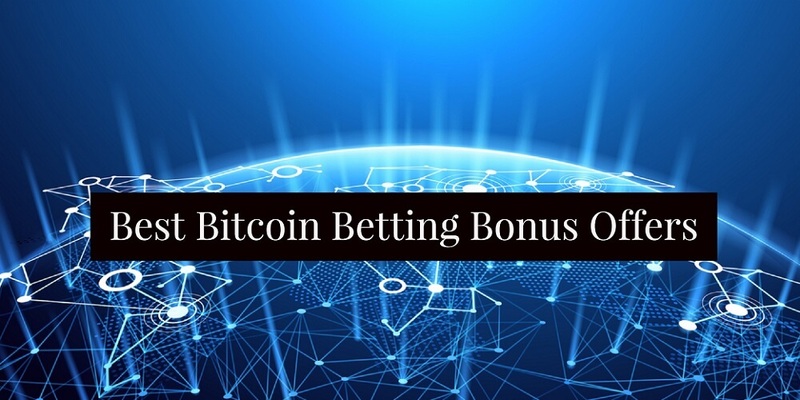 Cloudbet is one of the best bitcoin sports betting sites in terms of odds and variety of sports and betting markets. This bookmaker puts an emphasis on providing and offering all kinds of bets for their customers for many different types of sports. Check our full review of Cloudbet’s betting odds and markets to find out more. 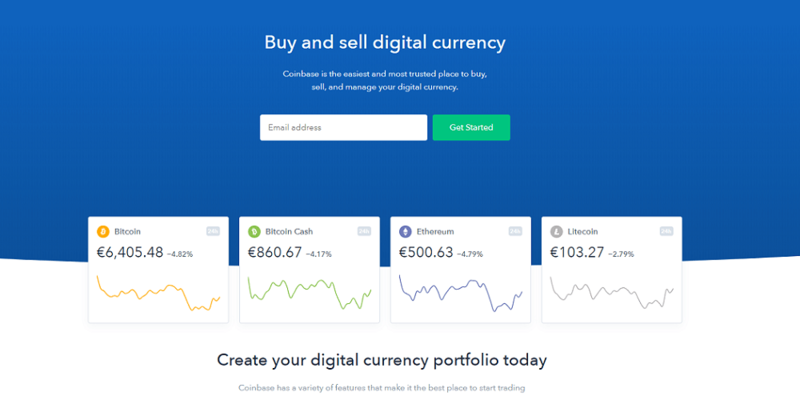 Cloudbet is one of the best options for all bitcoin bettors. The sportsbook was established more than 4 years ago and has since become a great site for sports betting and casino games. 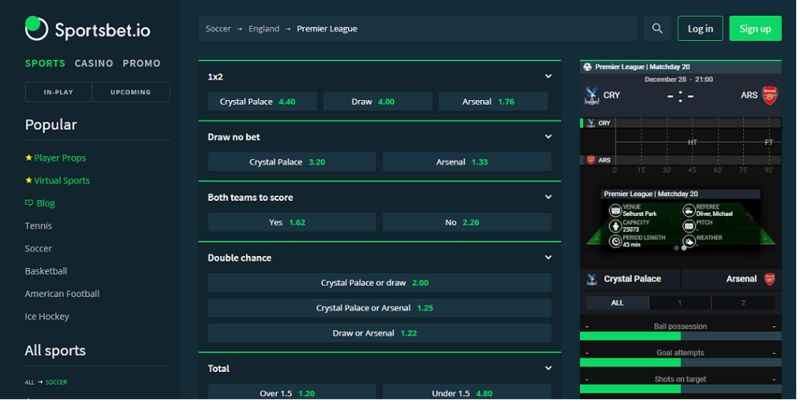 Besides the regular pre-match betting markets you will also find various live betting options for all kinds of sports including soccer, American football, basketball, and many more. Cloudbet offers a large amount of different betting markets and sports to bet on. There are 22 different sports in total to choose from. Besides some of the most common sports like tennis, basketball, or football, you will also find some rather unconventional options such as waterpolo or floorball. All sports include large amounts of different leagues and competitions. You will find betting options for all major leagues, national leagues, and international competitions. 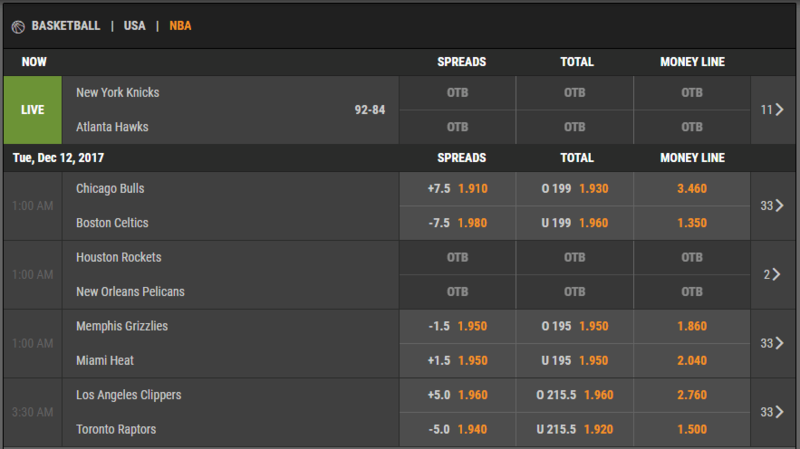 Additionally there are numerous betting options on basically every sport. They even have rather uncommon markets such as bets on politics and entertainment and many seasonal events like the Winter and Summer Olympics. Cloudbet offers you numerous different betting options for all of their matches. They have alternative spread betting options, many different handicap bets, and winning margins bets, to name a few. Overall it is safe to say that they are offering you an exceptional amount of non-standard bets, which is great if you are looking for some additional betting options. If you choose to bet on tennis, for example, you will face a huge selection of games. Cloudbet provides betting markets for basically every match there is. No matter if you are looking for ATP or WTA tournaments, Davis Cup matches, Grand Slams, or even small ITF qualifiers – they provide odds for all of them. We have rarely encountered a bookie who is providing that many competitions to bet on. They provide betting options for all major leagues in football, basketball, American football, and many other popular sports. Besides major competitions like the Champions League, NBA, and NFL, you will also find betting options for minor and less-popular competitions in many countries. The betting odds can hold up to the standard of Nitrogen Sports, which means the the quality is high. Overall, they are charging a really low commission on all major sports including basketball, soccer, tennis, American football, and ice hockey. The average commission charged on soccer games is currently 2.5% which is outstanding. American football matches in the NFL are charged with a 3.3% percentage on average and NBA games have a betting margin of just 2.3%. Obviously, the margin charged on smaller leagues and competitions is higher than that, but this is true for all other sportsbook as well. Cloudbet is a great bookmaker if you love betting on big games and competitions. 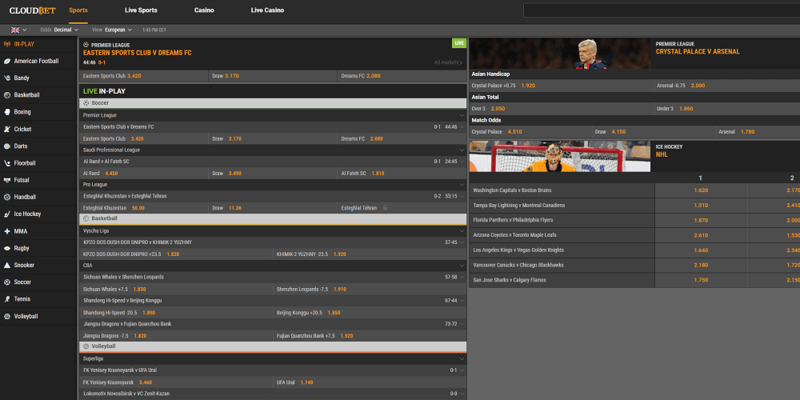 Cloudbet is also charging rather small comissions on their live betting odds. Unlike many other sportsbooks which are charging around 10% on their live bets you will only have to pay a fee of approximately 5.5% instead. The only betting odds formats available at Cloudbet are European and Asian odds. Customers from the U.S. have to adjust to that, but European odds are rather easy to understand so we don’t expect anybody to be frustrated about the limited options in that regard.